Karamani also known as Black-eyed peas is one of my most favorite pulses. The reason is its easy to cook and has real good taste. I made this kuzhambu with raw plantain(vazhaikai). You can add brinjal also with this. 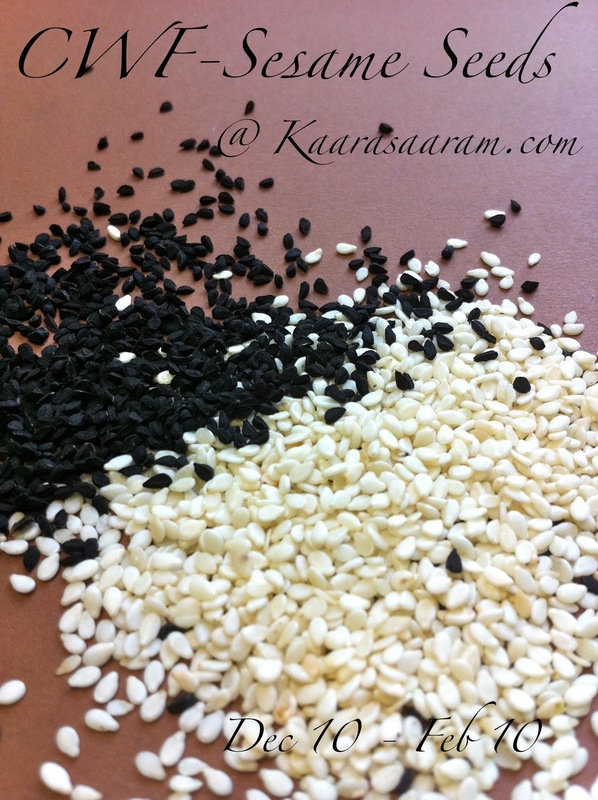 The only change that I did for this traditional recipe is grinding the sesame seeds along with coconut. This gave a nice flavor and aroma just like adding Gingely oil. I use the pressure cooker method and cook all the vegetables together. 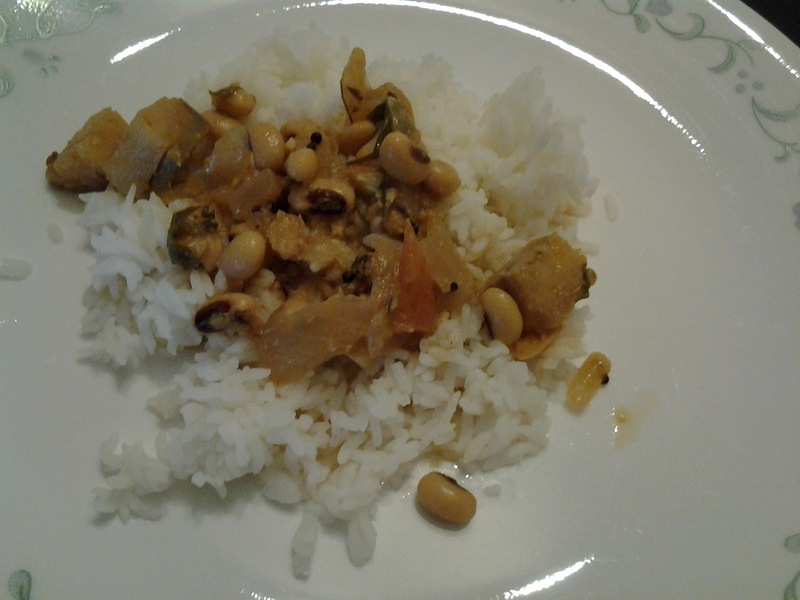 If you are using cooked black-eyed peas, you can cook the vegetables on the pan itself after adding Tamarind extract and add the cooked peas before adding the ground paste. 3. To this add raw plantain (vazhaikai), curry leaves, chili powder and coriander powder. 4. Now transfer this to pressure cooker and add the black eye peas and tamarind extract and 1 cup of water. Add required salt and pressure cook the ingredients for 3 to 4 whistles. 5. While its getting cooked in the pressure cooker, roast and grind the sesame seeds and coconut powder to a smooth paste. 6. When the pressure in the cooker is released, add the ground paste and boil it again for a minute. Now add the coriander leaves. 7. Serve with hot rice and papad. Sandesh - Happy Valentines Day!